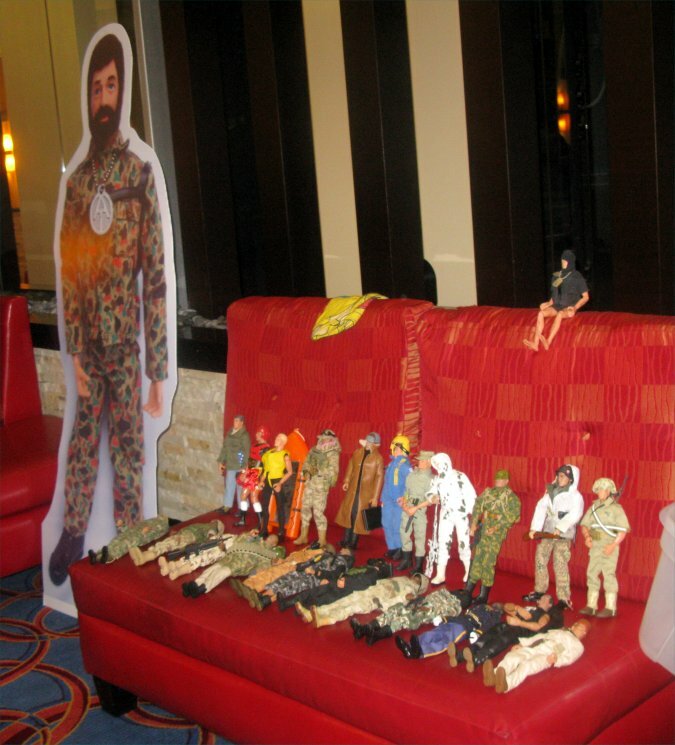 JoeLanta and The Great Atlanta Toy Convention doesn’t open to the public until Saturday, but folks who purchased the Commander’s Package, or other special event packages, were privvy to some special early events. Thursday night, there was the first of two editions of E.J.’s Lobby Swap. 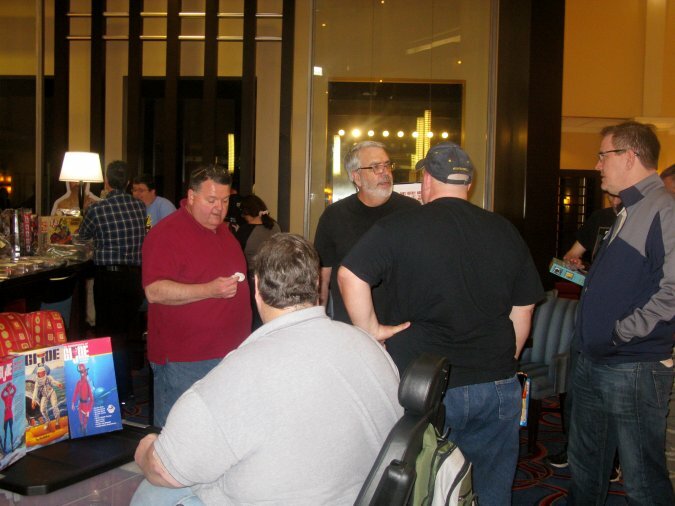 We snuck a few pictures of the wheeling and dealing, and we also got a glimpse of the new name for this event. 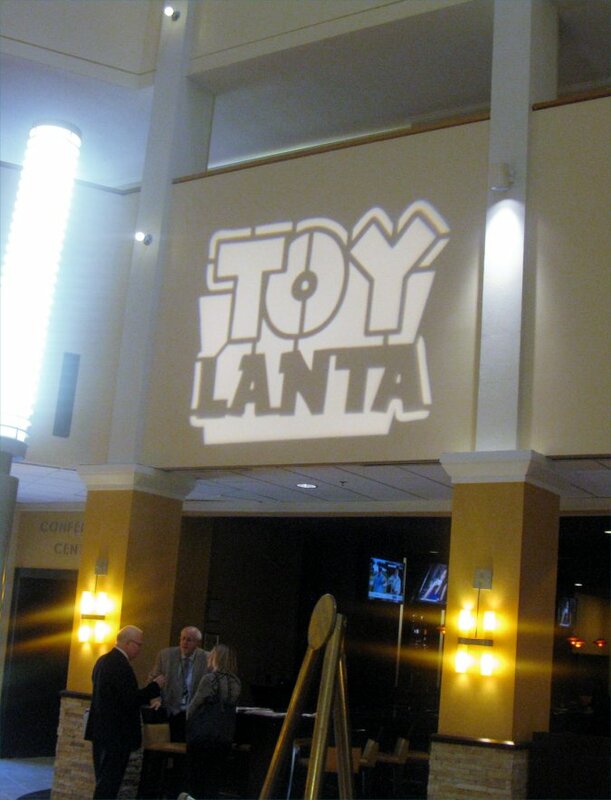 Because “JoeLanta and The Great Atlanta Toy Convention” is quite the mouthful, going forward this spectacular event will be known as “ToyLanta.” The branding is already evident in the photo seen at right. 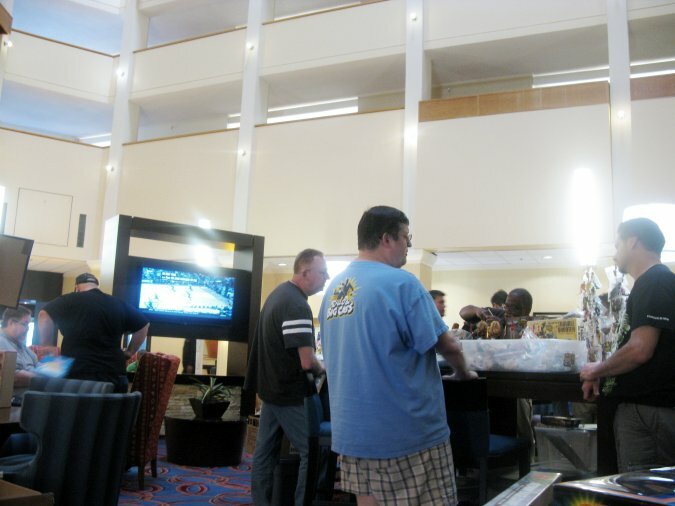 Below, you get just a taste of the clandestine big-money toy transacting that took place in the lobby of the Marriott Century Center in Atlanta. Keep checking PopCult for more info on TOYLANTA all weekend. Not too many details. 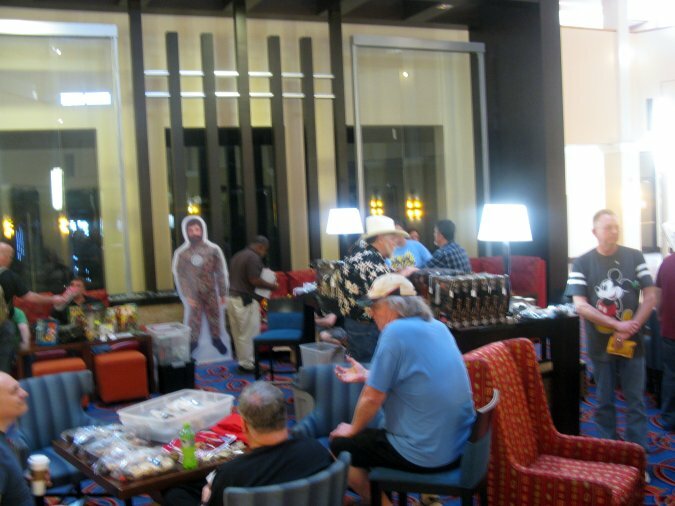 This is a room full of toy collectors, seen in their natural habitat. The names have been obscured to protect the guilty. Even more intense high-dollar dealing. We could tell you who these people are, but that information could put your PopCulteer at risk. Okay, so I’m having a little fun with you here. This is actuall a great, laid-back event where people put aside their differences and concentrate on their shared love of toys. It’s a huge love-fest. I’ll try to sneak more ToyLanta photos in when possible.